Once few men were constructing a house in the middle of a village. When they left for lunch, they fixed a wedge in the partly sawed logs of wood, so that it does not close up. After they left for lunch, a monkey from a near by tree came to that place. He started to play there with whatever he found interesting. Just then the monkey saw the wedge fixed by the men in the wood. He was curious to know what it was. So he went near it tried to pull that with his hands. 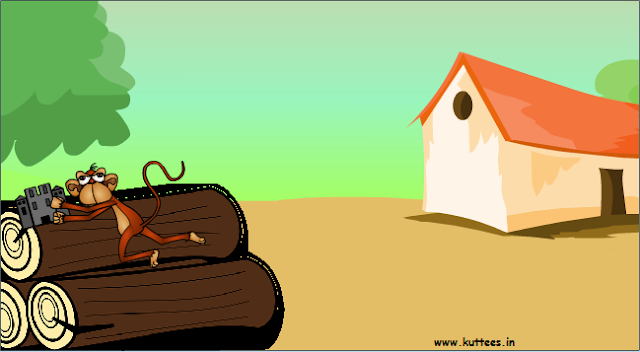 At last, the wedge came off but one of the hands of the monkey was trapped into the rift of that log. The monkey died of pain.